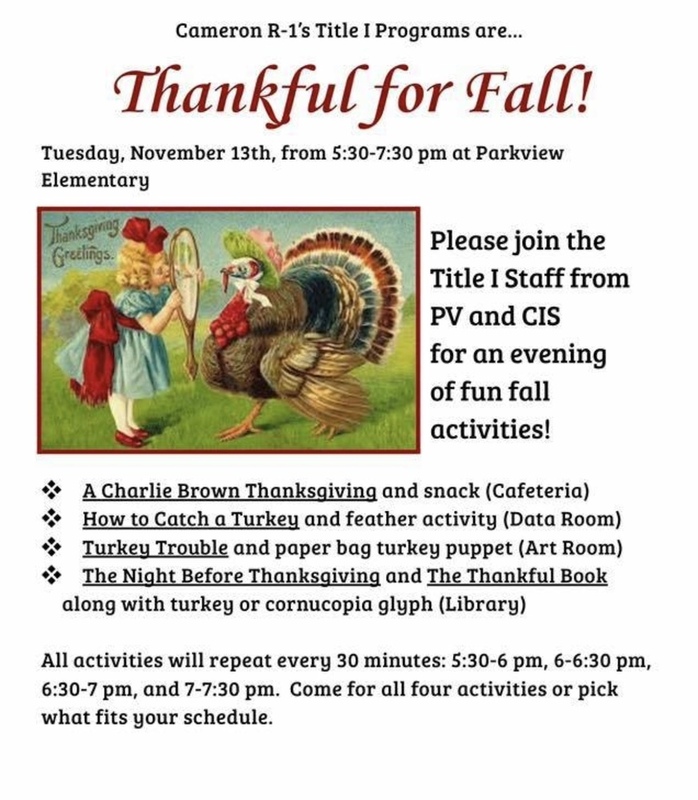 Please join us Tuesday, November 13 at Parkview Elementary for an evening filled with fun! The evening starts at 5:30 pm. We hope to see you there!